With 2018 being widely referred to as the ‘year of the women’, what better time to shine a spotlight on the creative souls, inspirational lives and brilliant minds of women that we applaud and admire?! Our new blog series Women We Watch will introduce you to some of our favourite people (all female of course!) whose stories we hope will inspire and enlighten. H: 2018 feels like a bright light like we are midst of an uprising and a time of change where equality is being taken more seriously than ever, but with a gentle touch. 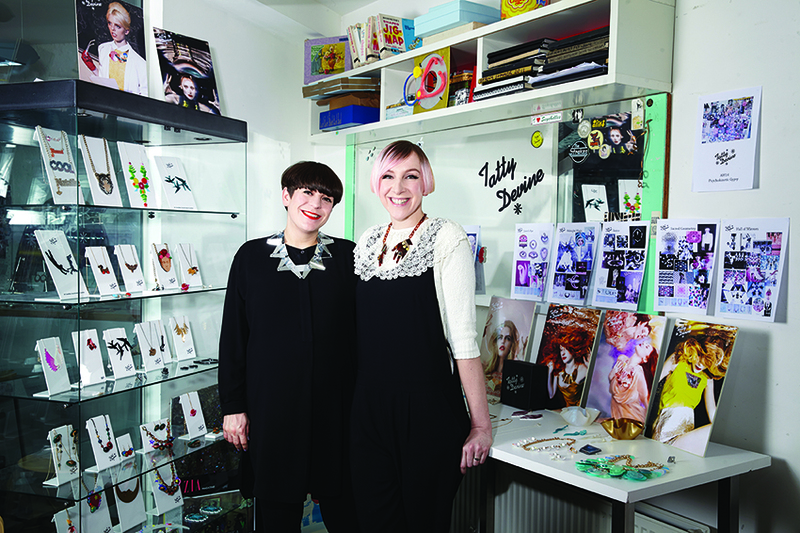 HAVE YOU SEEN MUCH PROGRESS IN OPPORTUNITY FOR WOMEN SINCE YOU BOTH FOUNDED TATTY DEVINE? OR DO YOU FEEL THE OPPORTUNITY WAS ALWAYS THERE? H: Opportunity is always there if you choose to take it. Part of what has changed is that now more women are aware that they can make that choice. More conversations have started and change could now be a possibility. The opportunity now is in the fact that many of the issues have surfaced and it is so much easier to grasp and understand the huge historic disparities between genders. We are still progressing, but as people are more vocal and things become more transparent change can really start to happen. R: I used to be so frustrated that men dominated tv and film, and used to say ‘I want to watch women not men’, so in many ways, things have progressed, however, it’s still shocking how few female directors there are or how stereotyped parts for women generally are. We have always surrounded ourselves with creative and inspiring women and there has always been the opportunity to make things for women by women and now the opportunity is to understand it and to make a difference. WHY IS IT IMPORTANT TO USE YOUR POSITION TO BOOST OTHER WOMEN? R: We really believe that you have to see it to be it and it’s never felt so important to inspire the next generation. We have to fix this together! Growing up seeing glimpses of amazing women on TV like Paula Yates, Carol Franklin, Vivienne Westwood, French and Saunders made you realise that there was more to life. To be part of the tapestry of what is influencing young women to be creative is an amazing feeling. WHO WOULD BE YOUR DREAM PARTICIPANT OF THIS BLOG SERIES? H: Such a hard question! There are so many to choose from! The one woman who really inspires us both is Bjork. It was a seminal moment for us both when we first found her. 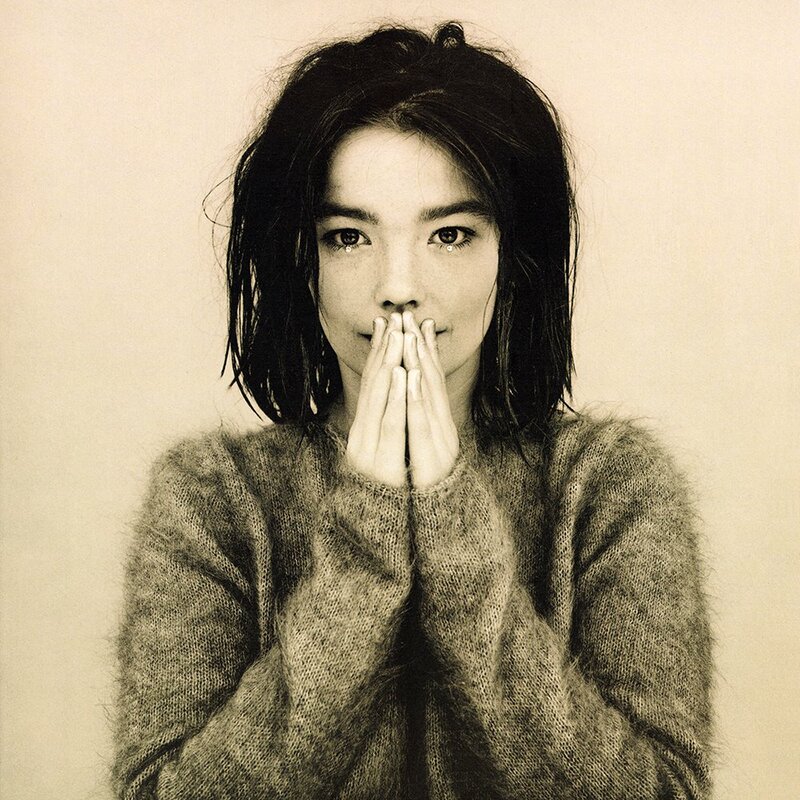 Rosie remembers seeing her on Top of the Pops and thinking- ‘I want to be like her’, I remember hearing Bjork for the first time, putting the new CD ‘Debut’ into the car stereo and having an overwhelming sense of finding something that was going to be an integral part of me. Her sense of individuality, expression and emotion is unmatched and truly inspiring. She once came into our store when it was in Soho and bought a Dinosaur Necklace. We weren't there- gutted! WHAT OTHER WAYS WILL TATTY DEVINE BE CELEBRATING YEAR OF THE WOMEN? R: We have a lot planned this year! We have collaborated with the artist Poppy's Papercuts in celebration of International Women’s Day which explores the identities of 6 incredible women. We have designed a collection for the Museum of London in celebration of Vote100 - their Suffragettes collection is currently on display and is the largest and most extensive collection of British Suffragette ephemera including banners, photos and artefacts - it’s definitely worth a visit! WHAT WAYS WILL YOU BE PERSONALLY CELEBRATING THIS YEAR? H: This year we will mostly be consuming culture and media made by women; art, music, literature, film, tv, theatre, radio, blogs, lectures etc. This is something we try to do generally but this year we will be making a point of it! 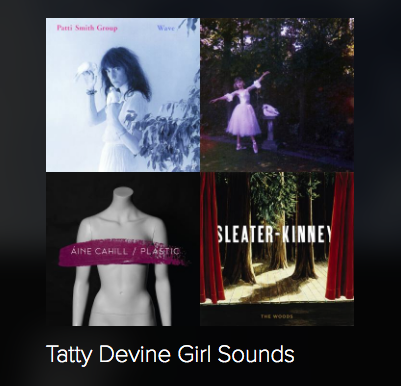 Our Girl Sounds playlist on Spotify sums up our mood right now! WHO ARE YOU WATCHING AT THE MOMENT? H: The musician/artist Lone Taxidermist. The world is a much better place because of her...so much joy, originality and fun!